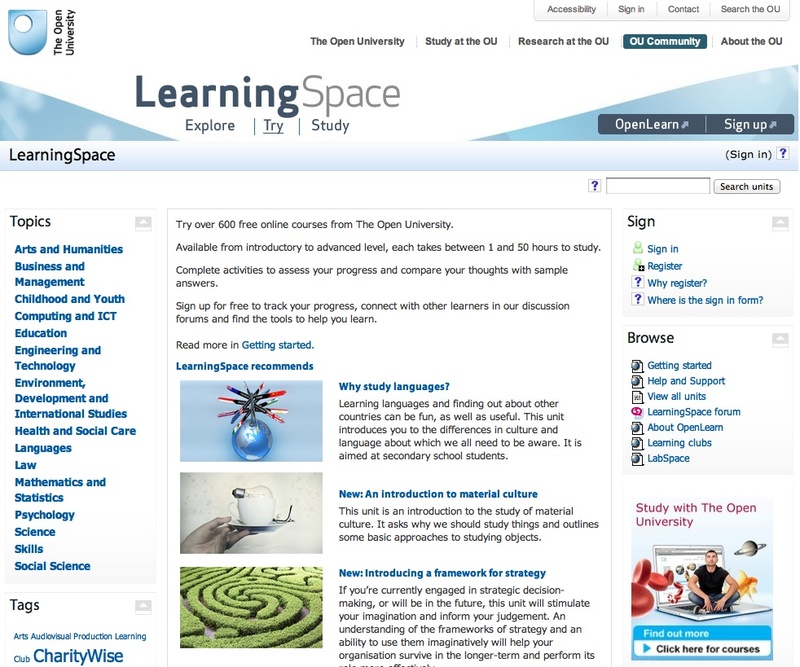 This website provides access to free educational resources provided by The Open University, a UK-based university dedicated to e-learning. Another companion website, LabSpace, allows users to freely download material for their remixing and reusing. The entire network material is released with a Creative Commons License and its software tools are released under the GNU GPL. Since 1969 The Open University has been a pioneer in making learning materials freely available through its successful partnership with the BBC, and The OpenLearn website, launched in October 2006 as a pilot project, offers today 600 free online courses. Aimed at making freely available to any user a number of interactive and social networking tools, this site features a collections of units including documents, exercises, multimedia presentations and other options specifically designed for distance learning. Topics range from Arts and History to Modern Languages, from Health and Lifestyle to Science and Nature. Enrollment in these courses is entirely open to the public, but a free registration allows users to share ideas and chat with others, use the tools in the LabSpace, download related educational resources and adapt them to their needs. With an impressive outlook and a high level of usability, OpenLearn provides a great e-learning environment. under this label are syllabi and other electronic teaching materials provided by individual scholars and/or faculties/departments to be used as e-learning objects. With the aim – and constraint – of bridging e-learning experimental design and content structure with a fair degree of standards compliance. A prominent example is the Mit's OpenCourseWare, an initiative by the Mellon Foundation and Mit, which offers access to 600 courses provided by Mit faculty with the goal of extending the opencourseware concept.